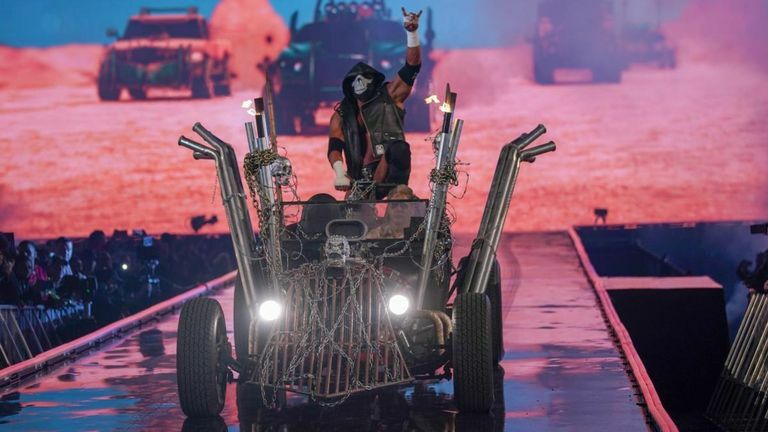 WrestleMania 35 had a feeling of great change, with seven titles moving to new owners on Sunday night and some big names riding off into the sunset. All four of WWE's major singles titles changed hands at WrestleMania in as clear a display of a decision to move in a new direction as you are ever likely to see from the company. Raw has a new Universal title-holder in Seth Rollins and Kofi Kingston is king of the SmackDown mountain, while Becky Lynch holds both the red and blue belts. There was also a changing of the guard in the women's tag division, with The IIconics getting the belts, with Finn Balor taking the Intercontinental strap and Zack Ryder & Curt Hawkins winning the Raw tag belts for good measure. A reshuffle of such a magnitude is very rare and feels like the start of a new wave of ultra-popular babyface talent leading the roster. Triple H did not retire at WrestleMania but Kurt Angle did, albeit with surprisingly little fanfare, and Batista would later confirm his MetLife match is the last of his career. After they lost their titles, doubts have to remain over the WWE futures of Brock Lesnar and Ronda Rousey. Lesnar's links with UFC remain strong but have not exactly increased in recent months, although the man himself does appear to be in more of a 'fighting shape' these days. Rousey has made no secret of her desire to start a family with her husband Travis Browne but she was a huge component in the ground-breaking main event, both because of her name and because of the good work she did in its build-up. John Cena made a cameo appearance on the card but for the first time since 2000 there was no Undertaker. The times they are a-changing. The opening notes of WWE's intro music sounded at 5pm in New Jersey on Sunday afternoon, which was 10pm in the United Kingdom. When the bell rang to signal the end of the main event, the time on the clocks in the stadium was 22 minutes past midnight. Back in Britain it was 5.22am. People at home have the option to tune out and watch the rest the next day, or to fire up another coffee, or just to doze off on the sofa mid-match. That's not a problem for that audience, but a huge part of a wrestling event are the reactions of the live crowd, which can greatly enhance the quality of the match. If they are tired, the oohs and the ahhs are muted - and even the most vocal wrestling fan is going to be tired after seven hours. Roman Reigns did not get the enormously positive response from the crowd when he came out for his match with Drew McIntyre. It was a good reaction, but it was not a superb reaction, with even one or two boos creeping in among the cheers. Better would have been expected for a star who was having his first match since winning his battle with leukaemia two months ago. That, it would seem, is not enough for some fans, who still see Reigns in the negative way he was viewed on a much larger scale before he announced his medical condition. So the company need to make a small adjustment of some kind. Perhaps change of character of look could be in order. Which NXT talent could be getting the call-up? To the surprise of pretty much every WWE fan, there were no NXT call-ups on either Raw or SmackDown, with the long overdue debut of Lars Sullivan the only real surprise of note. It was a change in tone for the Raw and SmackDown episodes after WrestleMania, which are traditionally hot shows filled with twists, turns and the beginnings of new storylines. It seems as though all of that will now be saved for next week's shows, when the second annual 'superstar shakeup' will also take place.